Join a hundred people in the East Bay who are working to change the lives of their neighbors. A mother’s reading skill is the greatest determinant of her children’s future academic success, outweighing other factors, such as neighborhood and family income. 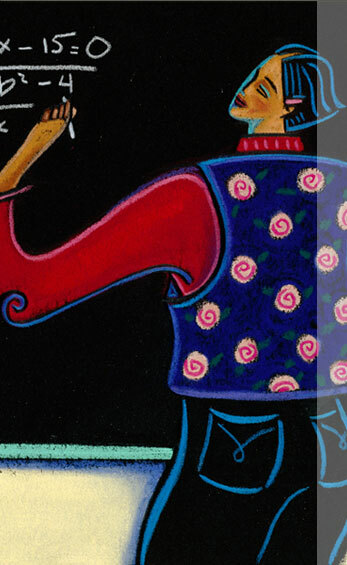 Tutors meet with their students at libraries, coffeehouses and other public spaces. They use a highly customized learning curriculum designed to meet each student’s individual needs. No prior teaching experience is required to become a volunteer tutor with us. Most tutors spend a minimum of two hours per week tutoring their student. We ask that prospective tutors plan to commit to at least 9-12 months of tutoring. This year, our volunteers served nearly 100 students, delivering over 3,000 hours of instruction. Students need hundreds of hours more to meet their goals. Please volunteer today. Click REGISTER in the text below for our current training schedule. Literacy Volunteers will provide you with professional training on techniques for both spoken English and reading. You will leave the training certified as a tutor, ready to be matched with your student, and will get all the materials and ongoing support you need to help you and your student succeed. 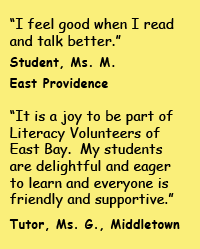 If you or someone you know is interested in becoming a tutor volunteer with Literacy Volunteers, call us at (401) 247-2177, or fill out and submit a Tutor Intake Form and follow the instructions provided.